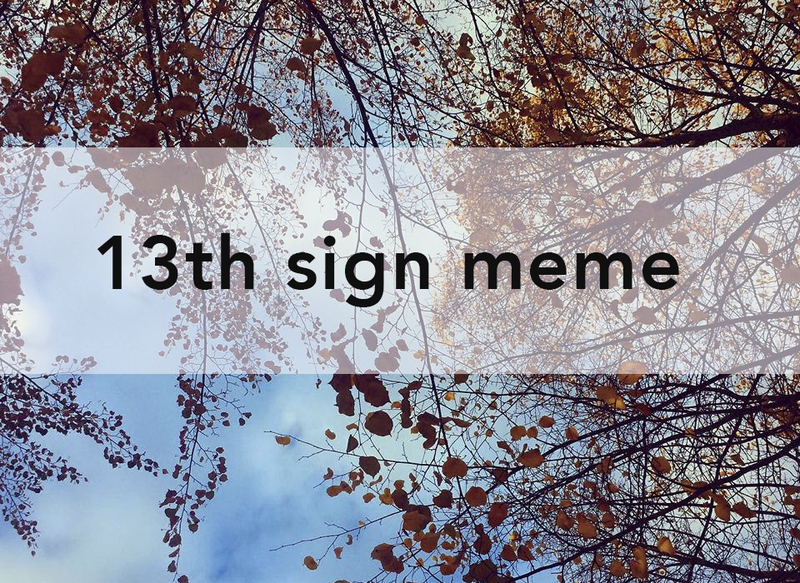 To be quite honest isn’t actually news that now is circulating regarding the 13th sign, it has been around for a while, and we can sort of count its having its own cycle, since the buff about the 13th sign is being re-posted from time to time. Atheists would call this “creating a meme” or creating a mental bug, that repeated many times will become truth. Memes are real. And nothing wrong with creating a meme, as long as that meme is not spreading lies as this one is. Not because it isn’t true that the natural zodiac contains more than 12 signs, but because that they present it as if astrologers use this model, and as if we didn’t know. Off course we know. It is Basic Astrology for Dummies. Since the power of this fallacy is so strong due to the resistance towards astrology, I think it is important to cover and I encourage all astrologers to put something out there on their blogs and webpages to let the world know that we also know about the pure physical aspect of our sky. We’ve known about the precession of the equinoxes for 2000 years, and we also know that western astrology does not use the sidereal positions of the sky, as in the actual constellations. Even Vedic astrologers, who use the -23 degrees position of the equinox, still use sections of 12 equal pieces to map the sky. Which is not how the natural zodiac looks. The constellations varies in size. Let me repeat, astrologers know this. Astrology uses the seasons and we are quite aware that it is the sign of Pisces that rises at spring equinox and not the sign of Aries, and we are aware that it is a bit hard to then understand why we put the sign of Aries to begin there, when it is in fact Pisces that rises. Still this is the birth of the season called spring in the northern hemisphere, and thus it is related to that bit of the cycle we call Aries, the seed. The “problem” of the southern hemisphere is also non-existent, as there are in fact only 6 signs with 6 doubles (my personal theory, I must add). Aries ties into Libra, Taurus ties into Scorpio, Leo to Aquarius etc. They describe two sides of a coin. Actually we can downsize it into 3, Brahma (Creator), Vishnu (Sustainer), Shiva (Destroyer) or Cardinal, Fixed, Mutable. Every season, from Cardinal to Mutable is a process of life. We die many times before the actual pralaya or dissolution of the Self. Thus the 12 signs describes a process of night and day that is life. From the beginning seed life to the mature spirit. I will not go deeper into the subject, but I will add a link to Deborah Houlding’s marvelous article. Why repeat what she says better? Please read it and be equipped with the best tool there is, knowlegde.